June is approaching and, with it, warm, summertime weather. But don’t let a little perspiration keep you from having a good ol’ time. With a few tips (keep a water bottle handy, wear light, breathable layers, sunglasses, and a hat), the city is your oyster— that’s right, Oyster Festival and several other food-centric festivals are on the calendar for June. 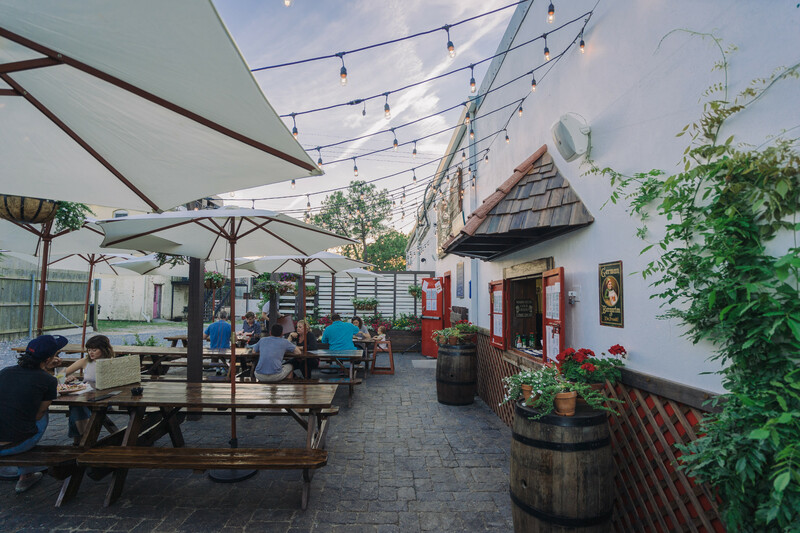 In addition to festing, summertime is the perfect time to unwind by taking a dip in a pool, taste-testing local beers, and even spending time outside hiking or picking blueberries. Check out our roundup of 15 things to do in June, and dive right in (literally). 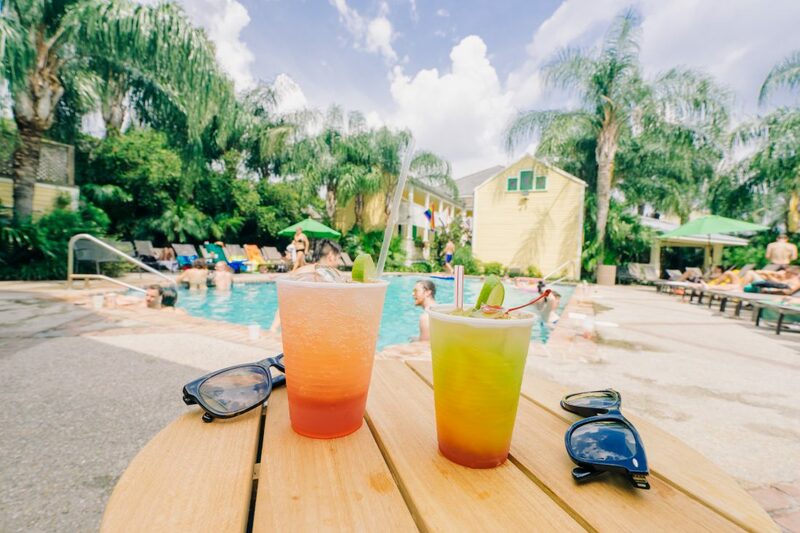 In the heat of summer, sometimes there is no better way to recharge than in a pool (optional: with a drink in hand). There are several public swimming pools around town (such as the Stallings St. Claude Recreation Center and the Whitney Young Pool). However, there are also several hotels around town that allow non-guests to access their pools for a fee. Check them out here. Despite its growing number of festivals that celebrate specific food items (e.g. Oyster and Creole Tomato Fests), New Orleans does not yet have a donut festival. However, we are always down to celebrate and with the many delicious shops around, there is almost no excuse not to celebrate National Donut Day on Friday, June 1. Options include District Donuts, with multiple locations across the city, Blue Dot Donuts, and Daddy’s Donuts. They might look slimy, but oysters are a favorite food group in Louisiana. Nothing demonstrates this more than the New Orleans Oyster Festival, a free festival which runs Saturday, June 2 and Sunday, June 3 from 10:30 a.m. to 8:00 p.m. Like many local festivals, music is certainly a highlight and a good excuse for dancing. But for this festival, oysters are the main draw and are prepared raw, fried, and chargrilled with butter and Parmesan and come served in po-boys, Oysters Rockefeller, and more. This year’s vendors include Acme Oyster House, Dragos, GW Fins, Andreas, Red Fish Grill, Antoine’s, Jacques-Imo’s Cafe, Mr. Ed’s Oyster Bar and Fish House, Superior Seafood, Trenasse, and more. Taking the stage at this year’s festival are local bands Lost Bayou Ramblers, the Bucktown All Stars, and Sweet Crude. An oyster shucking and oyster eating contest are also scheduled. Every June, City Park opens up Carousel Gardens to adults only for its June Under the Moon event. Tickets are $30 and include open bar beers, Tito’s Vodka Twizzler shots, snacks including fried catfish and French fries, unlimited rides, and somewhat limited mischief. 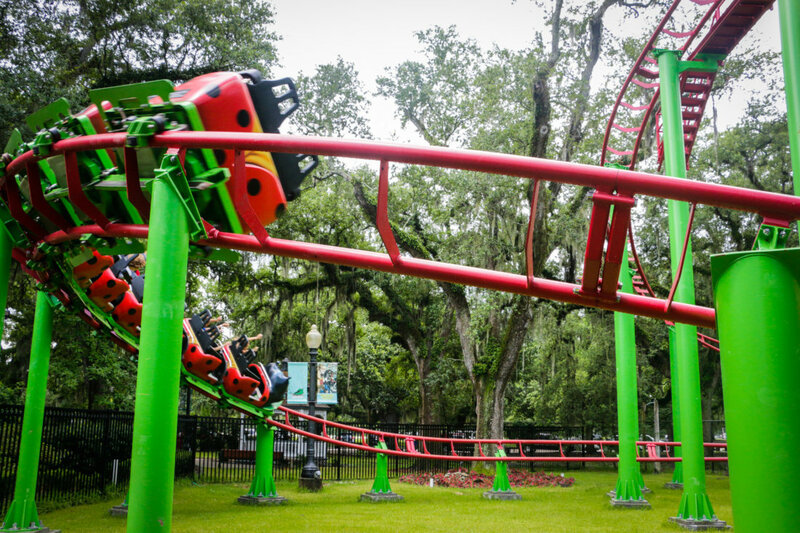 Ride the miniature train, bumper cars, the lady bug roller coaster, and more. Best known for its parade, New Orleans Pride actually takes place the whole weekend of June 7-9 and is made up of several events. Be sure to attend the Pride Parade on Saturday night in the French Quarter for an experience like no other. 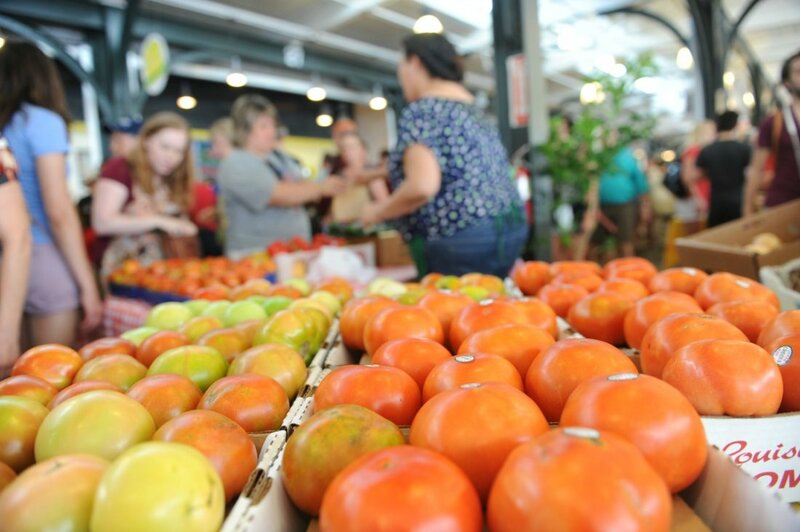 The Creole Tomato Festival is another local favorite highlighting Louisiana’s Creole tomato. This year’s festival takes place on Saturday, June 8 and Sunday, June 9. 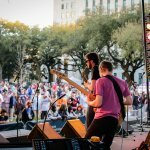 Several stages in the French Quarter present live music, while nearby food tents offer all things Creole tomato. The festival, hosted by the French Market Corporation, is free. 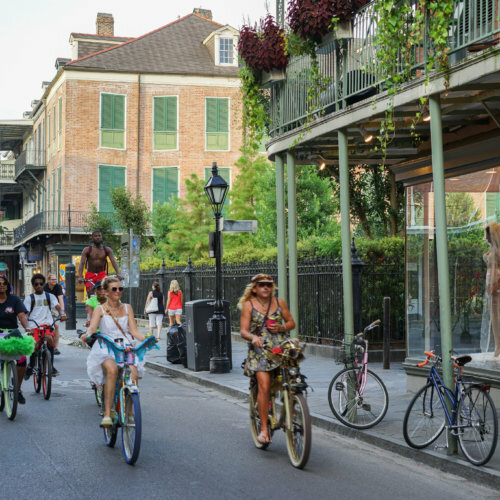 Summer is the time for light, refreshing food, and New Orleans has plenty of options. Our guide to light summer bites includes various salads, spring rolls, and juices, so, while you’re indulging in your fried shrimp and étouffée, remember to sneak in a vegetable or two while you’re here. New Orleans is a pretty sweet place to celebrate dads. Father’s Day this year falls on Sunday, June 16, and there are activities for all types of dads. For the dad who just wants to watch sports, catch up at Cooter Brown’s or another sports bar. For the hungry dad, eat out at Crescent City Steaks. For the active dad, rent a kayak and race up Bayou St. John. For the history buff-dad, spend a full day (or longer) at the National World War II Museum soaking up some history. A local festival and fundraiser weekend by women for women, FestiGals takes place June 21-23. Seminars, tours, dinners, parties, and a gospel brunch are all designed to empower, educate, and bring women together. The Step Up Second Line is scheduled for Saturday, June 22 and raises awareness for heart disease and its impact on women. Brass bands and dancing krewes will all take part. Tickets are available for select events over the weekend and by day for those unable to attend the whole weekend. Snowball stand windows are open all summer long. 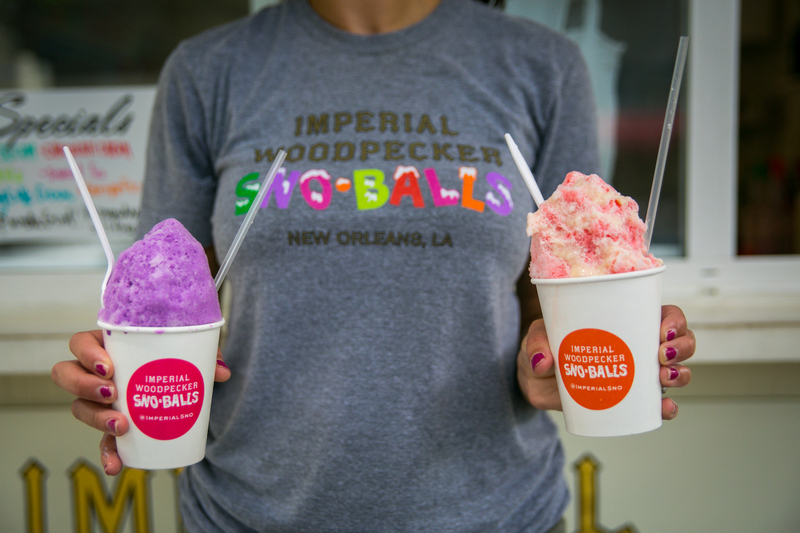 Snowballs, not to be confused with snow cones, are almost vital to survival in the summer heat. Locals are quite loyal to their favorite snowball stands, most of them part of the neighborhood fabric (like Hansen’s and Plum Street Snowballs). Bring some cash to your favorite snowball stand (many don’t take credit cards) and order one of the dozens of flavors. Popular flavors include strawberry and bubble gum, but more complex flavors are emerging (my current favorite is Pandora’s praline cream with condensed milk). NOLA Caribbean Festival returns on June 21-24 for a weekend of Caribbean food, music, culture, and more. 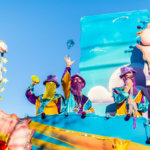 The festival highlights New Orleans’ shared connection with the Caribbean and celebrates its position as the northernmost Caribbean city. Entry to the festival starts at $10, with food and drink available for purchase. It may surprise some that Cajun music and zydeco music are two distinct types of music. While they both share a Francophone heritage, Cajun music developed from French-speaking Louisiana Catholics and was originally played using the fiddle before evolving to include other instruments as well. It often has country and rock influences. Zydeco emerged from the rural French-speaking Creoles of color and was born from the melding of several different influences including Louisiana French accordion music and Afro-Caribbean rhythms. Washboards, or frottoirs, are a common instrument in the Zydeco tradition. 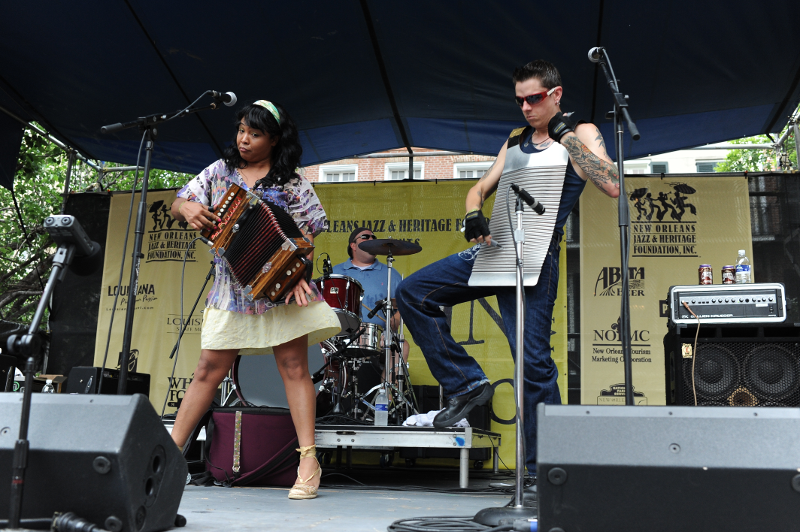 Learn about (and dance) to Cajun and zydeco music at the free Louisiana Cajun-Zydeco Festival on June 22 and 23. Celebrated in Armstrong Park, the fest features music, food and drink for purchase, an arts market, and more. A beautiful natural resource just outside of downtown New Orleans, the Audubon Louisiana Nature Center reopened in 2017 after Hurricane Katrina shuttered it twelve years prior. 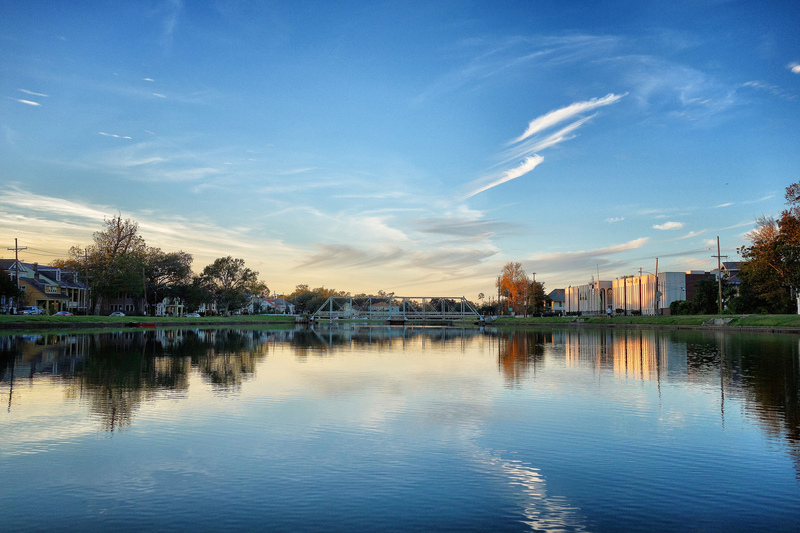 After a $10 million restoration, the center features newly planted native trees and other plantings, an interpretive center, a 1.1 mile boardwalk and other primitive trails, a planetarium, educational facilities, and more. Visit the Nature Center for a hike or relax while learning about the solar system in the planetarium. On hot days, plan a hike for the morning. Historically, the beer brewing tradition in New Orleans was widespread, due in particular to the high number of German immigrants. Unfortunately, those older breweries have long been gone. 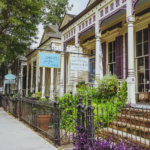 In the last several years, however, numerous craft breweries have begun to crop up all over the city including Courtyard Brewery in the Lower Garden District, NOLA Brewing, Urban South and Port Orleans on Tchoupitoulas, Second Line Brewing along the Lafitte Greenway, and Parleaux Beer Lab in the Bywater. Spend a lazy day sampling a few beers from a local brewery and support the growing industry. The onset of summer in Louisiana means blueberry season is upon us. Due to the large number of farms throughout the area, fresh berries are ubiquitous. Rather than picking up a carton at the grocery store without much of a second thought, turn your blueberry purchase into an experience. Several self-pick blueberry farms are within driving distance from New Orleans and provide a fun way to encounter the state’s agricultural community. Blue Harvest Farms and Ridemore Ranch & Berry Farm, two local farms, are located in Covington across the lake from New Orleans. Be sure to call in advance or check their websites for schedules and pricing. Emily Ramírez Hernández is the child of New Orleans natives whose families have been in the city for generations. Emily's earliest memories of New Orleans include joyful car rides over bumpy streets, eating dripping roast beef po-boys at Domilise's, and catching bouncy balls during Mardi Gras parades with cousins. An urban planner by day and freelance writer by night, when she is off the clock she enjoys biking around town, belly dancing, and catching nerdlesque shows.